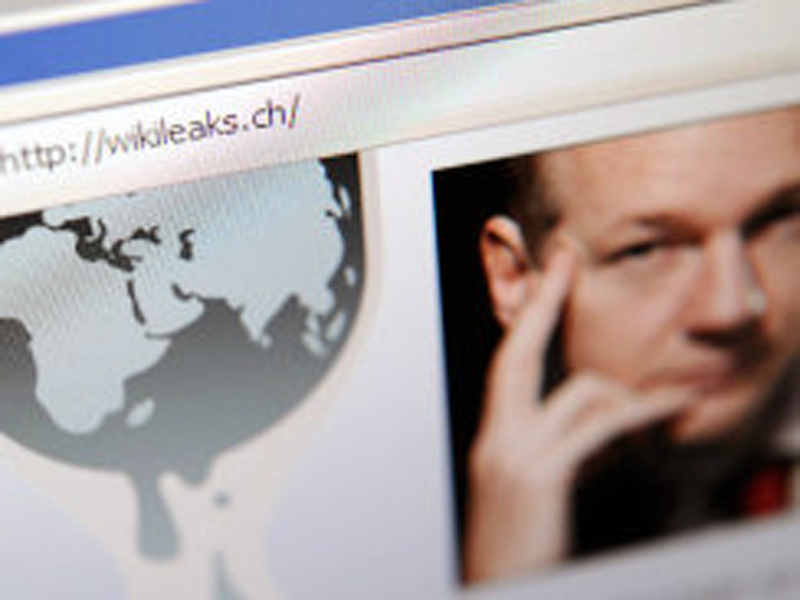 (CNET) - WikiLeaks has followed through on its promise and released confidential e-mails from global security analysis company Strategic Forecasting, or Stratfor. WikiLeaks announced plans to publish the e-mails yesterday. The organization says that it has 5,000 confidential Stratfor e-mails and will release them piecemeal over the coming days. According to a counter on its Web site, it has so far released 214 of those documents. The messages WikiLeaks obtained cover 2004 through 2011 and include mention of everything from insider information on the 2008 U.S. presidential election to spies working around the world to gather intelligence. One of the juicier tidbits includes an alleged e-mail exchange between Stratfor employees suggesting the company get into the network security business following WikiLeaks' release in 2010 of classified government files. "We do a lot of good work with all the personal/executive security analysis as well," an e-mail dated December 9, 2010 reads. "Could we develop some ideas and procedures on the idea of 'leak-focused' network security that focuses on preventing one's own employees from leaking sensitive information." The big question is whether these e-mails are, in fact, legitimate. In a statement released today, Stratfor confirmed that a large number of company e-mails were stolen, and cautioned that the WikiLeaks data dump could include messages that were modified to push an agenda. "Some of the e-mails may be forged or altered to include inaccuracies; some may be authentic," Stratfor wrote in its statement today. "We will not validate either. Nor will we explain the thinking that went into them. Having had our property stolen, we will not be victimized twice by submitting to questioning about them." Stratfor's troubles started in December when the company's network was hacked. AntiSec, a hacktivist group affiliated with Anonymous, claimed responsibility for the attack, which left more than 50,000 credit card numbers and 44,000 encrypted passwords, in addition to the e-mails, open to the alleged hackers. The hack also sheds light on a company that had previously been flying under the radar. Stratfor says that it's a "subscription-based provider of geopolitical analysis" that provides people and corporations with a "thorough understanding of international affairs." Critics like WikiLeaks, however, say the organization engages in "confidential intelligence services" that it provides to both the U.S. government and major government contractors, including Lockheed Martin and Northrop Grumman. "The Stratfor e-mails reveal a company that cultivates close ties with US government agencies and employs former US government staff," WikiLeaks wrote today on its Web site. "It is preparing the 3-year Forecast for the Commandant of the US Marine Corps, and it trains U.S. Marines and "other government intelligence agencies" in 'becoming government Stratfors.' Stratfor's vice-president for intelligence, Fred Burton, was formerly a special agent with the U.S. State Department's Diplomatic Security Service and was their deputy chief of the counterterrorism division." Stratfor confirmed that it has connections with important individuals around the world, but said that such relationships are not necessarily out of the ordinary. "As we have said before, Stratfor has worked to build good sources in many countries around the world, as any publisher of global geopolitical analysis would do," Stratfor said in its defense. "We have done so in a straightforward manner and we are committed to meeting the highest standards of professional conduct."